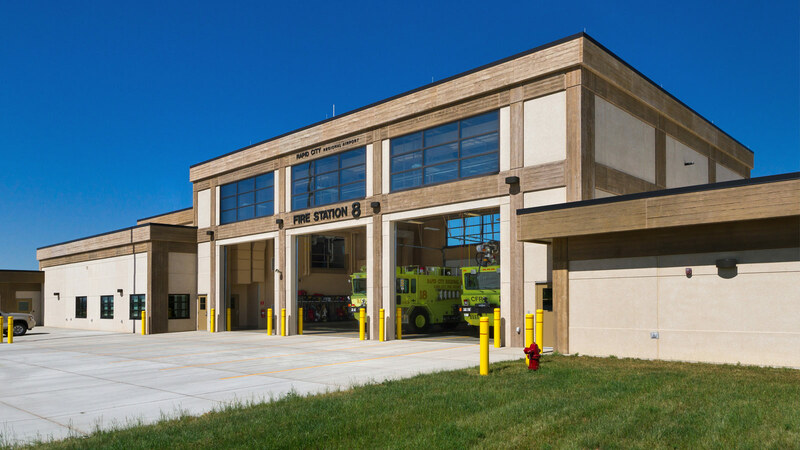 New 13,600 square foot fire station. 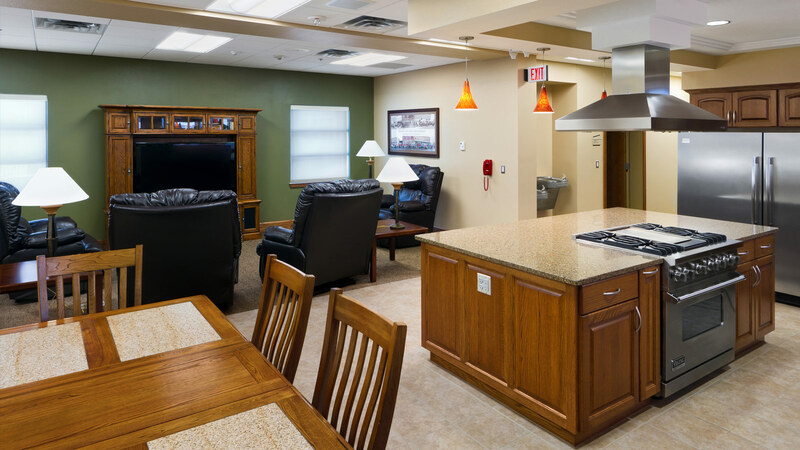 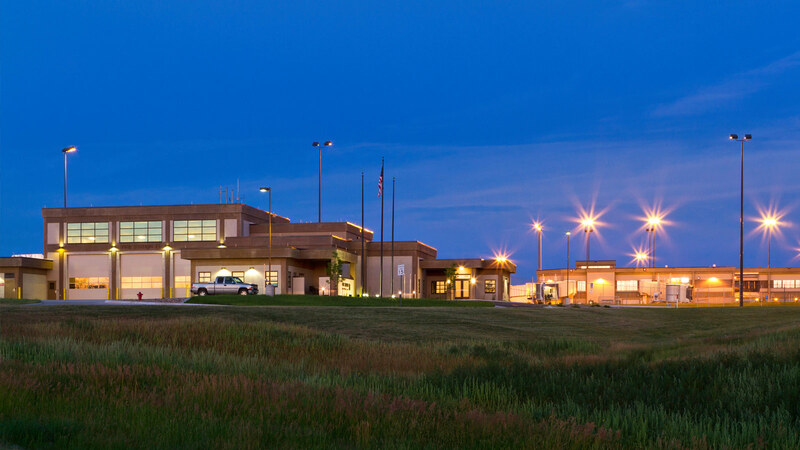 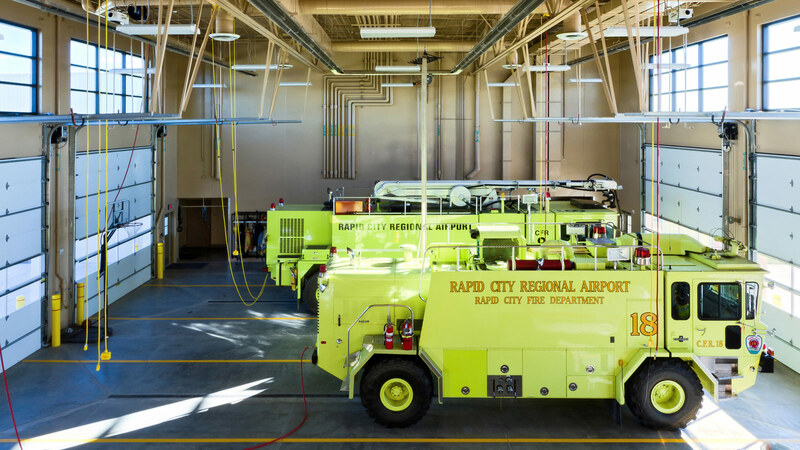 The TSP-designed Airport Rescue & Firefighting Facility addressed Rapid City Regional Airport’s long-term expansion and building security concerns. 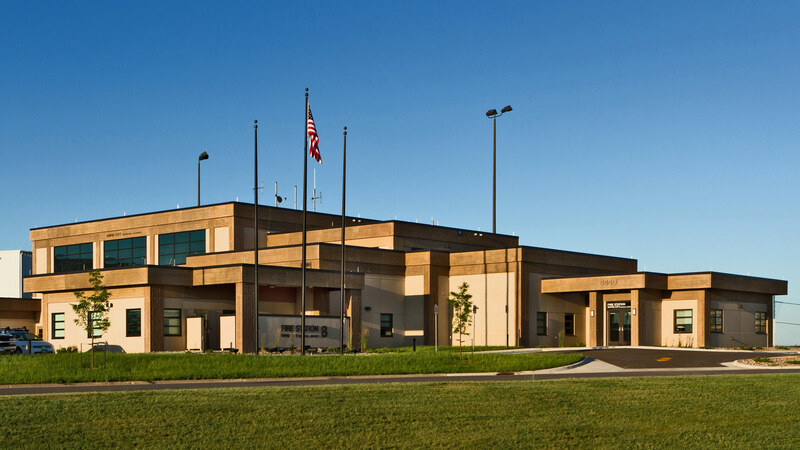 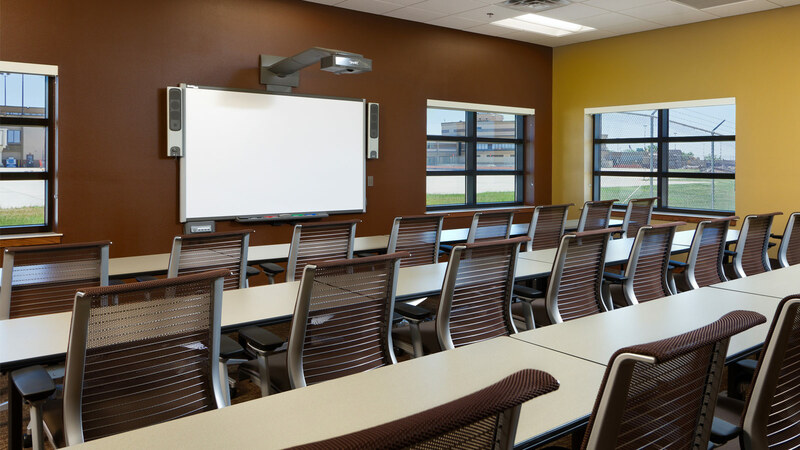 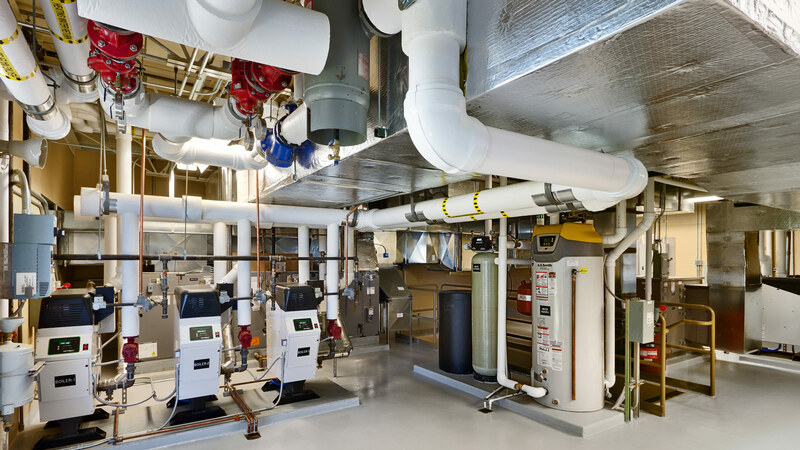 With three dual access vehicle equipment bays, in-floor heating, outside entry snow-melt heating, expansion for personnel, security cameras, alarms, and updated locking systems–the new facility is a testament to the notion that a high-tech practical environment can be elegant and comfortable as well.